Vonics Inc. | Techtronix Corp.
We have been supporting Vonics Inc. (www.vonics.com) since the start of its online presence. 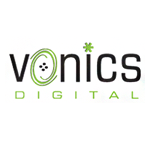 Starting with requirement gathering and analysis, we have been involved with the design, development and successful deployment of the Vonics website and billing infrastructure. We have worked on the entire signup process for new customers, and are involved with the monthly invoicing and billing cycle for the company using secure Verisign transactions. We also successfuly developed their CDR (Call Data Record) management, storage and its presentation to customers.